You might think that painting a room is easy and simple once you take the time to prepare the room. Despite this preparation though, there can be some mistakes which can sprout up with ease. The good news is that many of them are rookie mistakes which can be easily avoided. Unfortunately, if you don’t know what these mistakes are, there’s no way to catch them until after they occur. This isn’t always the best option. While we learn from our mistakes, making mistakes while painting a room can be extremely problematic as they can cause a lot of wastage of time, money and materials when it comes to rectifying them. Many people keep pets but unfortunately, when considering painting a room, they often forget to practice caution in keeping them out of that area. The new smells and tools are bound to attract the attention of your four-legged friend and even if they have been in that room countless times, they will be unable to resist walking in and seeing what all the fuss is about. What this can result in is a mess. Your pet will either walk through the paint, trekking paint all across the floor, end up tilting the paint containers or even picking up a paintbrush and walking away with it to play. To avoid creating a mess and to keep your pet safe from any paint related accident, it is a good idea to keep them locked away perfectly. While it can be easy to clean paint off the floor, it is never easy to get paint of a dog or cat’s fur. Sometimes, certain painting jobs can take a day or two instead of being completed in just a few hours. While this is normal, you should take care to store the paints in the proper manner. Not only does it keep your paints usable, you can also instill good painting habits. For example: if you just paint freely, you will be more likely to leave the lid of the paint can lying around. What this can mean is that someone might end up walking on the lid and trekking paint across the room, or you could even leave paint prints of the lid on the floor. 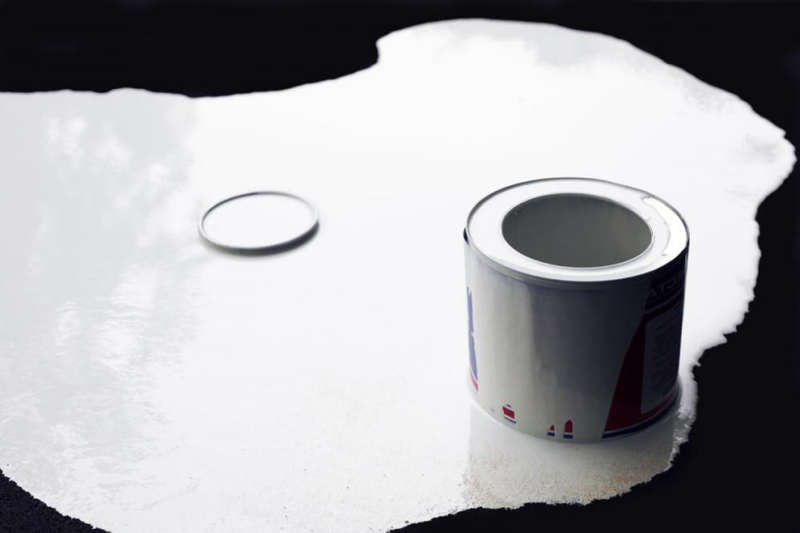 By keeping the lids on properly, even when you are painting, you can avoid such accidents from happening and also ensure that you are able to prevent any impurities such as dust, hair or dirt particles from polluting the paint. Even after you have prepared the room for painting, you still have to paint with care, particularly when you are using a roller around the corners of the room. 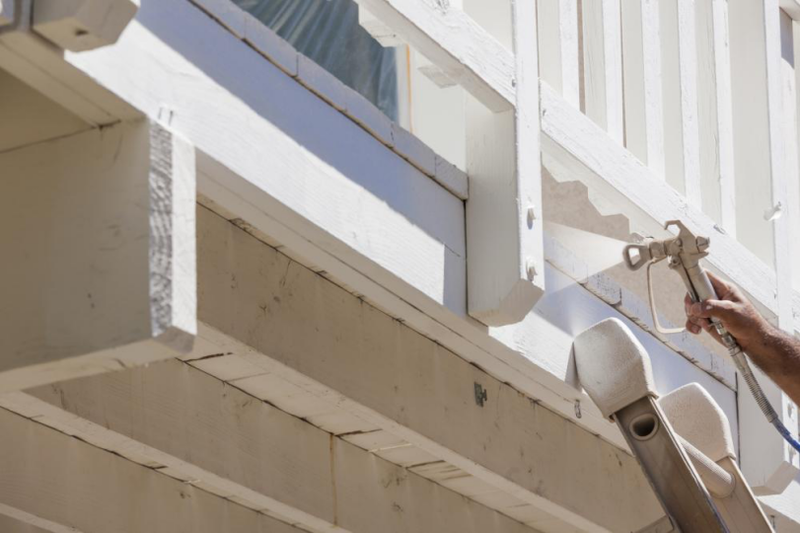 The roof, in particular, can end up with unsightly brushings of paint on it since you can end up pushing the roller too near the roof and creating a mess. The best option is to leave a little space near the corners or edges of the room. Once you are done with the roller, you can paint the corners with the help of a brush to get a neater finish and avoid any paint mistakes. If you are planning on getting wall trim installed, you can even opt to leave an inch or so of the wall unpainted as the wall trim can cover it when you have it attached to the wall. When you’re painting, the kind of brush you use and the pressure applied to the brush can play a huge difference in giving you a smoother result. In some instances, people even prefer applying two coats of paint so that any irregularities in the first layer are removed. On the other hand, certain surface areas such as door cabinets and wood work tend to show when you have been overzealous in brushing. The more you use the brush to smooth out the paint marks, the more pronounced the marks of the brush stroke will be. For this reason, it is better idea to use more paint and to paint with swift and quick brush movements. Avoid trying to fix any mistakes once the paint starts drying since it will cause more ridges and marks to appear. Another important thing that you need to pay attention to is the overall temperature of the place you are in. Seasons can play a huge role since not all paint is weather proof and will not give you the results you want when you are using them, especially in extreme climates. When the weather indicates a freezing spell, it is a good idea to avoid painting as the paint will be unable to dry thoroughly. The end result will be a wall that has dry paint in patches or it will not adhere to the wall and come off very easily when it is touched. Similarly, when something is too hot, let it cool a bit. Applying paint on extremely hot surfaces can also give you bad results as it will cause the paint to bubble and make application a nightmare since it will start to dry as quickly as you apply it. Sometimes, instead of painting something, it can be easier to use spray paint. It gives the same result and in many cases, provides a lot of flexibility in speeding up the painting process, particularly if you have to different surface or a lot of objects. Unfortunately, if you don’t prepare the spray painting area properly, you can easily end up spoiling the end result since you will have to deal with a lot of clean up. Spray painting in a closed area is never recommended and if you are going to do it outside, make sure that it is in a well ventilated place. Even when you are painting outside, pay attention to the wind direction as you could end up accidentally spraying paint flecks on your car or even the patio without noticing. Just like you shouldn’t be painting too close to the roof, you should avoid painting too close to the floor as well. In many cases, the same rule applies: Leave an inch or more of space unpainted so that you can go over it later with the help of a paint brush. Always remember that while roller brushes allow you to cover a lot of space with ease, they are never good for use with fine corners and edges. 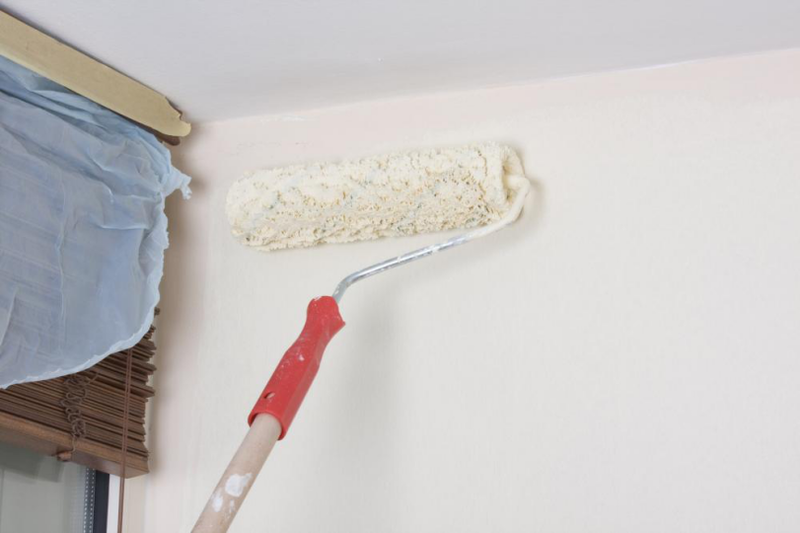 Moreover, painting too close to the floor not only runs the risk of getting unwanted paint swatches on your tiles, you can also transfer dust, dirt and other debris on to the roller which will then end up being spread all over the wall and get stuck to the paint. Textured walls and ceilings are a great visual aspect to add in a room but they are not always the best when you want to paint over them. The texture can make it difficult for the paint to stick to the wall and you might have to get a different kind of paint for that particular wall or area of the house. A safe option is to run a small paint test on the textured wall or ceiling. This plays a large role in ensuring that not only are you using the right kind of paint, but to also ensure that it doesn’t damage the texture of the wall or ceiling in any manner. This is important since some textures don’t take well to the paint and can start coming off, ruining the wall completely. By running a paint test, you get to stick to the safe side and even if there is any damage done, it is corrected with ease. Sometimes, you might be facing the opposite scenario to a textured wall or ceiling. 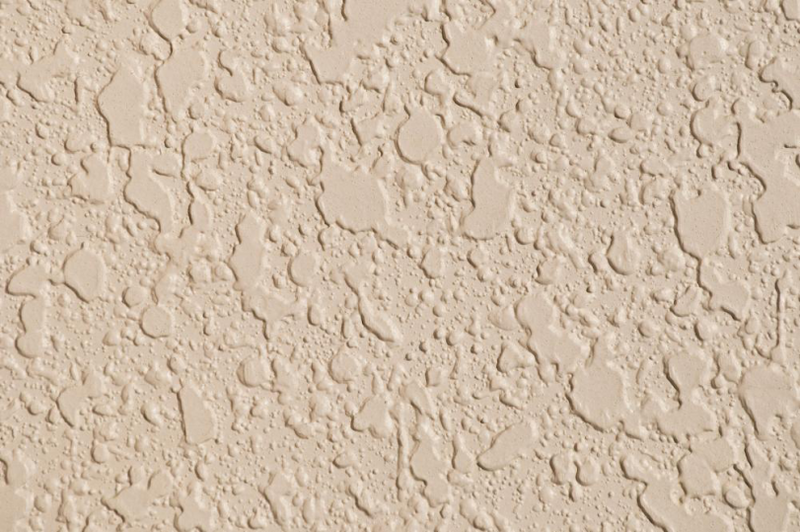 Instead of the texture, it could have a gloss finish that adds a smooth sheen to the wall. A smooth finishing is going to be very difficult to paint over as it doesn’t give the paint much surface traction to adhere to. The best option here is to take the time to sand down the glossy finish off and then apply a fresh coat of paint. It is a good idea to make use of this option, even when considering applying paint on other areas such as wooden cupboards, doors and more. Usually, they are treated with wood varnish and it can have the same impact as glossy paint has when you are applying paint to it. Always make sure that when you are applying paint to any surface area, there is plenty of natural light or that the room is very well lit. Paint tends to reflect light which gives it the hue it has. In different lights, the same hue can appear deeper or lighter with ease. 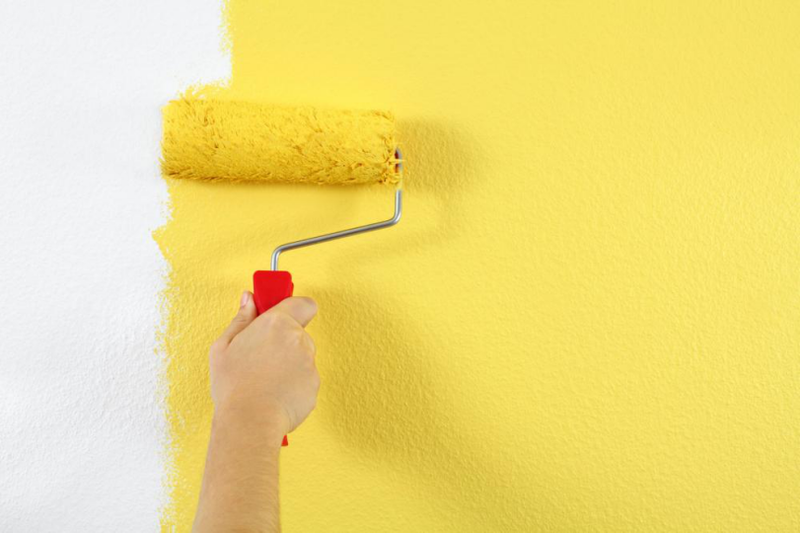 In this way you can easily ensure that you picked and tested the right paint before you apply it to the whole wall. Another reason why good lighting is important is because you need to ensure that there are no imperfections in the application. In poor lighting it can be harder to view the brush strokes or to see areas where the paint is thinner in application. By having proper lighting, you can ensure that you apply your paint properly and do a good job. Paint conditioner is used to thin out paint a bit. While there are few instances where you need to thin the paint, certain surface areas such as wood don’t require thick paint. For them, it is a good option to make use of paint conditioner. Keep in mind that not all surface areas require the use of paint conditioner, but for some, it is a necessity. Extremely flexible in use, paint conditioner ensures that the paint stays the same color and hue even if it is thinner. 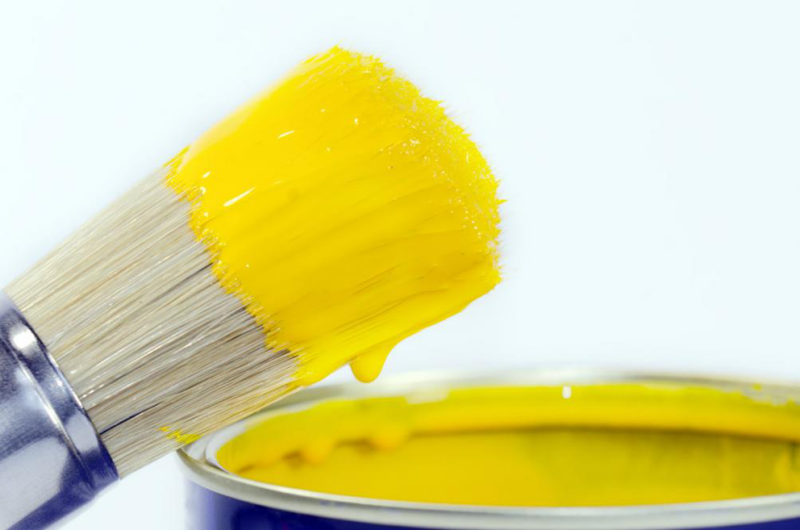 In many cases, thinning paint can be disastrous since the application is greatly impacted. With the help paint conditioner, you can not only get a smoother application, you can also get more usage too. Once you have painted the whole area, you might be tired and thinking happily of lazing or just resting. However, don’t skip the cleanup which comes after the painting is done. From picking up all the paint tools and brushes and cleaning them to cleaning up any accidental swatches or drops of paint, it is necessary to clean them as soon as possible. If you delay it for until after you have rested, the brushes might become too stiff from the paint and the bristles will suffer because of it. Paint splatters on the floor and wall can also become harder to clean up the more you let them dry in a certain area. When it comes to painting the interior or the exterior of your house, it can sometimes be beneficial to opt for professional help. Not only do they have the proper knowledge and expertise, they are also better equipped with the right brushes and tools. Working with them also simplifies your problems and you can be sure that you won’t make the common mistakes mentioned above when you are working with them. If you’re considering making use of professional services, get in touch with One Man and A Brush Pro Painters by calling on: 678-368-5115. 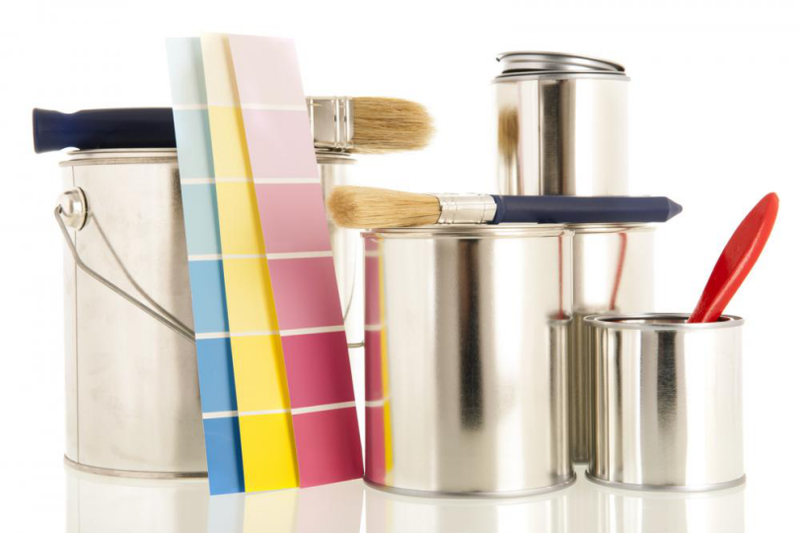 Our services are perfectly crafted to meet all your painting needs. With a BBB accreditation and a stellar reputation, we are the best professionals to handle any painting job you might have in mind. Whether you need the interior painted or exterior spruced up or have some other DIY project in mind, we can provide you with the best results to give you your dream home.